The robust module for stand-alone applications in 19 mm housing and with M12 connector. 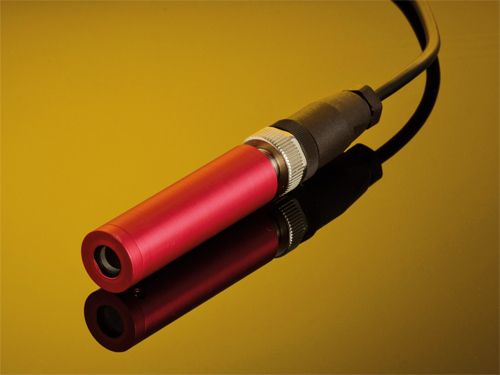 MVmicro lasers were developed for stand-alone image processing tasks. They produce a fine line with a homogeneous power distribution. The electrical connection is carried out via a standard M12 connector. These lasers are available in different versions: with a fixed and an adjustable focus, with digital modulation and analog power adjustment. In the adjustable version, the MVmicro can be focused easily and without any tools.